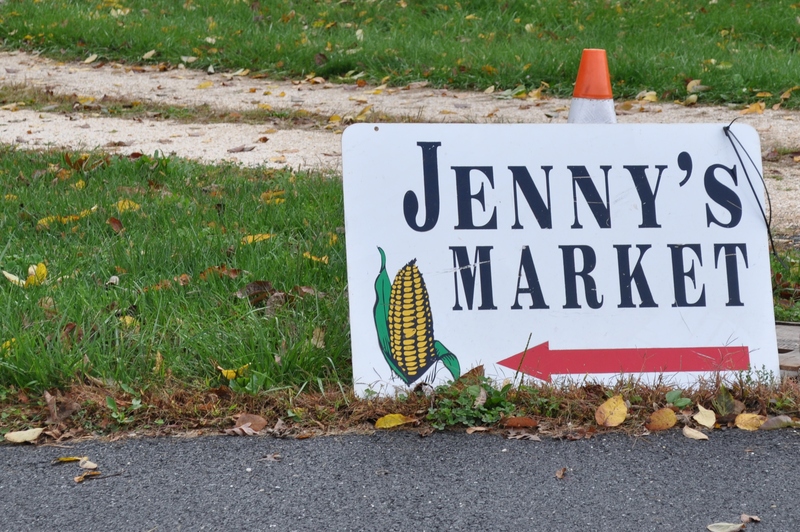 Only 17 more days until Jenny’s closes for the season. I will miss popping in there to get a few things. They have a facebook page, which will let you know what they are featuring. 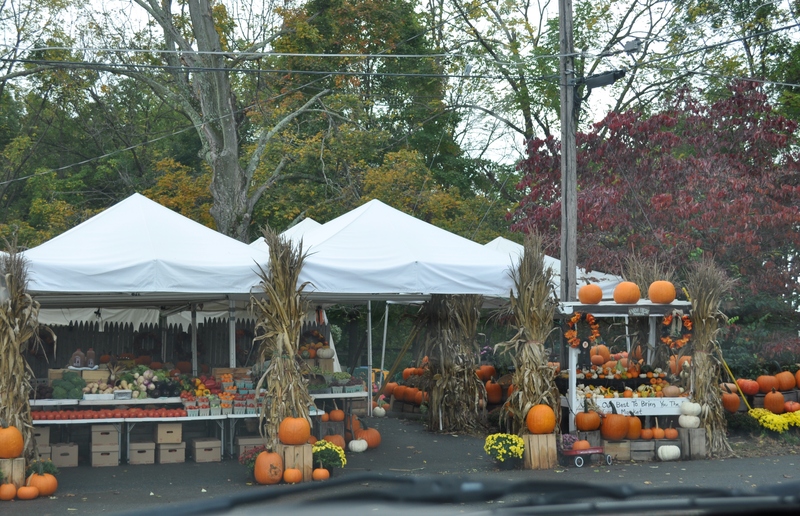 If you want some pumpkins, mums, cider, fall vegetables, or are like me, and pop in for weird things like lemons, oranges and bananas. I like that quick stop for the citrus I need in cooking without having to drive 15 miles or more round trip to a grocery store. Today I wanted some apple cider, and bananas for breakfast, and scallions because, again, I ran out of them. 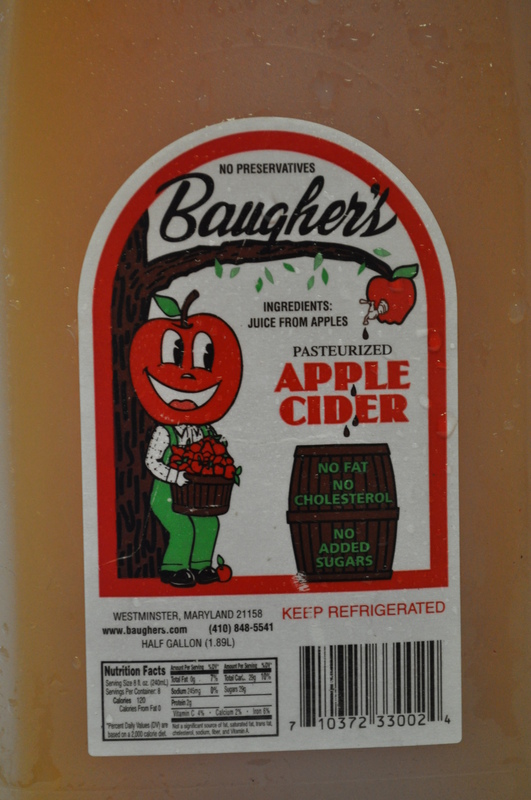 Jenny’s sells Baughers cider from right up Rte 32 in Westminster. Half gallons and gallons. I came home with what I needed, including a couple of oranges, to use my baby fennel from last week’s CSA basket. And, I got seduced by the huge sweet green grapes. I will have to remember to stop in and pick up a few last things before they shut down for the season. And wish them a happy and healthy winter until they reopen in May. Jenny’s is right off Rte. 32 at the Burnt Woods interchange. Take the exit and head to the northeast corner on Ivory Rd. 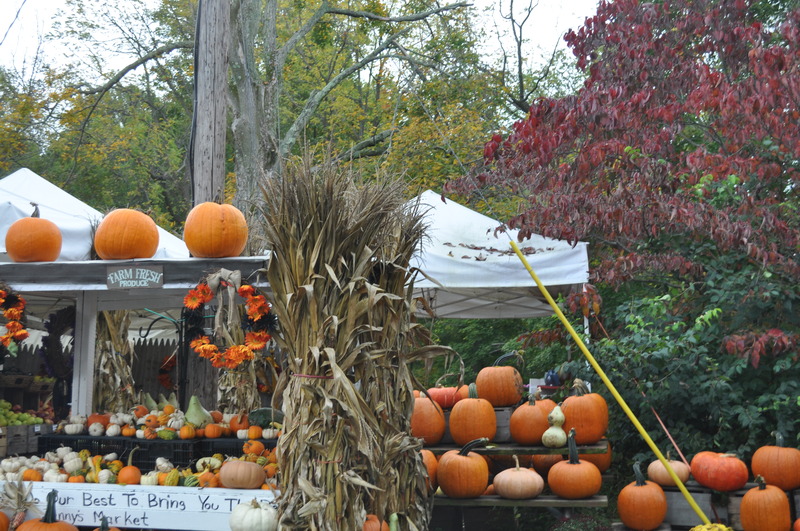 Look for the brightly colored pumpkins, gourds and mums telling us fall is truly here. Posted in Community, Farmer's Markets, Farms, Food, Howard County, Local Businesses, Weather, West HoCo and tagged community, farmer's markets, Food, hoco loco, Howard County, local businesses, weather, West HoCo. Bookmark the permalink.